This report examines the relationship between large business taxpayers and revenue bodies, five years on from the publication of the FTA’s Study into the Role of Tax Intermediaries. The study recommended that revenue bodies develop a relationship based on trust and co-operation. The report is based on a detailed examination of the practical experiences of countries that have established this type of relationship.The report finds that the pillars of an improved relationship highlighted in the Study remain valid. However, it identifies some additional features that are equally important: the part played by the tax control framework used by a large business in providing an objective basis for trust is emphasised. 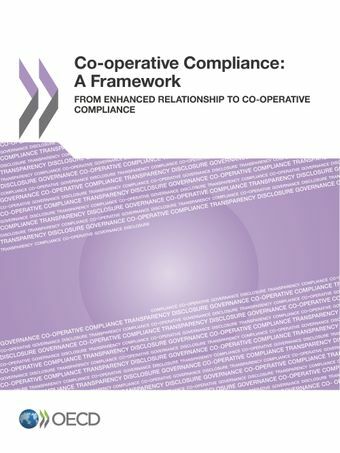 It also suggests that “co-operative compliance” is a better description of the recommended approach than the original “enhanced relationship” label. The report addresses some questions that have been raised about the compatibility of the new approach with certain legal principles and discusses the internal governance of these programmes within revenue bodies. The importance of making a sound business case for the approach and how to measure the results of co-operative compliance programmes is addressed. The report concludes with some thoughts about the future direction of the co-operative compliance concept.